Ängelholms Kyrka is the city church of Ängelholm and is located in the old center at the market place near the old town hall. 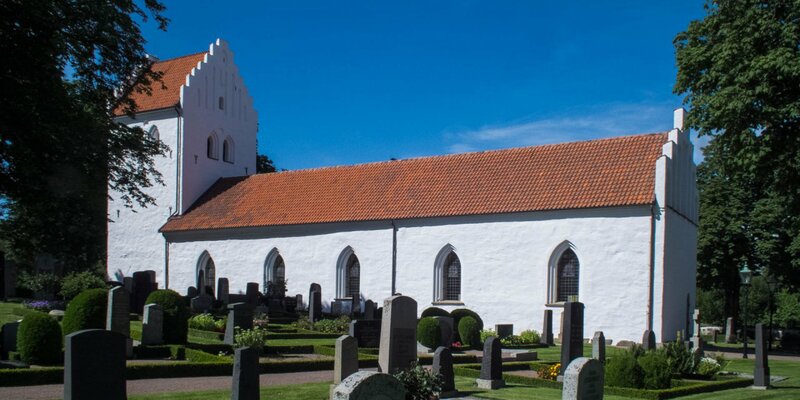 Originally built in the 16th century when the town was founded, the church was destroyed in 1565 in one of the Swedish-Danish wars. 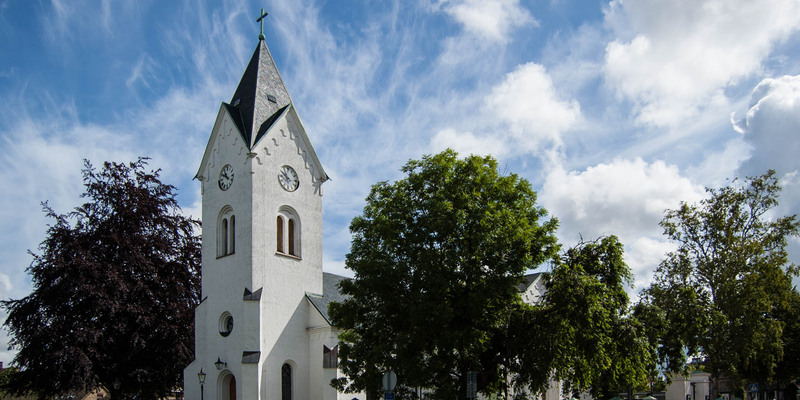 Since Ängelholm was temporary an insignificant village without municipal rights at that time, the church was not built again. More than 100 years later, at the beginning of the 18th century, the present Ängelholms Kyrka was built on the ruins of the first church. 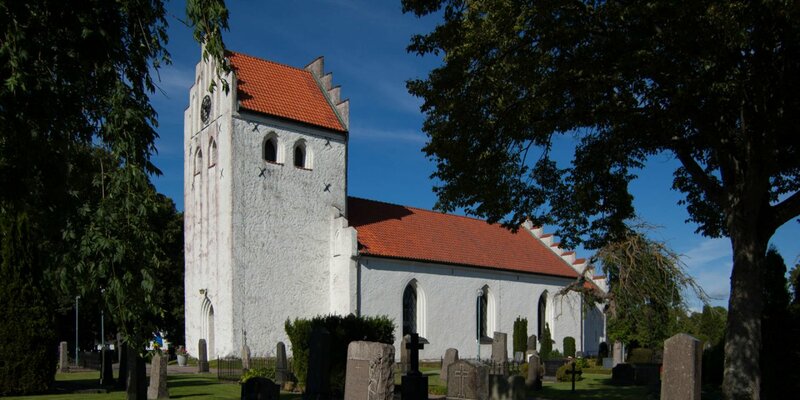 The only object in the church today, who was already in the early church, was the Luntertunsklockan, an old bell by Master Lars (Magister Laurentius) of Landskrona from 1470. 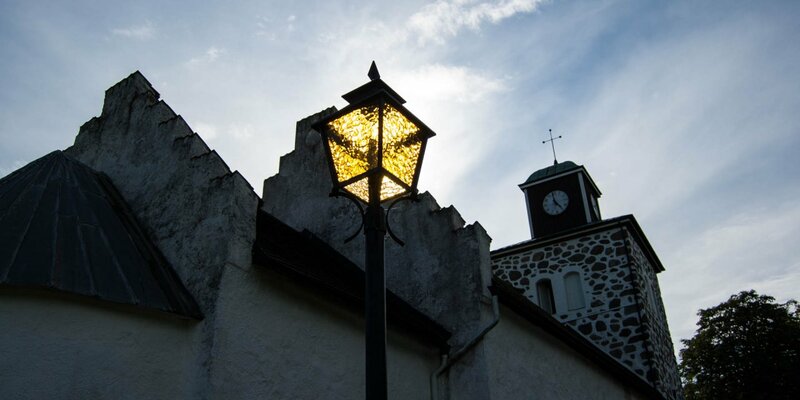 This bell has already moved three times in its history because it hung originally in the bell tower of the former church of Luntertun, the predecessor of the city Ängelholm. Already in the 19th century the church had an extensive renovation and expansion. The two transept arms were attached and the church acquired its present appearance. In the 1930s, today's pews and the sacristy were attached and in the 1940s, as part of a comprehensive interior renewal, the baptismal font and the altar with paintings by Torsten Nordberg were added.